When you ask healthcare providers what keeps them up at night, high employee turnover is likely near the top of their list. The average turnover rate in healthcare is 20.6%. For behavioral health providers, it’s not uncommon to see turnover rates in the 40s, particularly for those in the intellectually/developmental disabilities (IDD) space, where the average rate of turnover is estimated at 45.5%. Low wages, stressful work conditions and high competition both inside and outside the industry will continue to impact staffing in behavioral health. 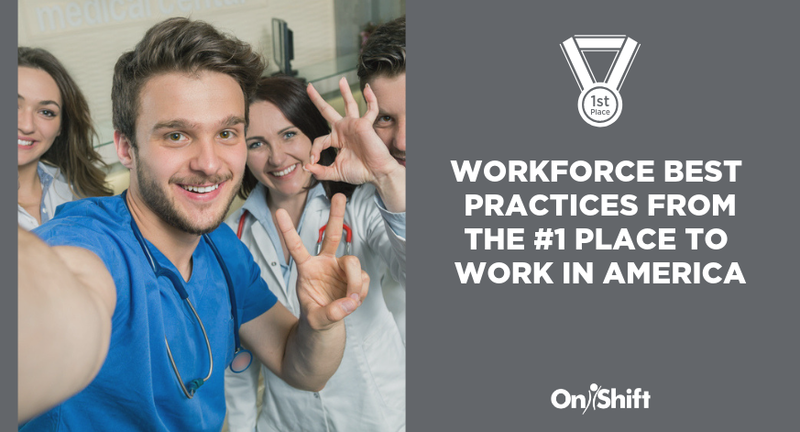 And with an estimated 1 million workers needed by 2022, providers need to rethink their strategies for engaging employees. Staff who are truly engaged have an emotional commitment to their organization. And this directly impacts the amount of effort that employee will put towards an organization’s goals. 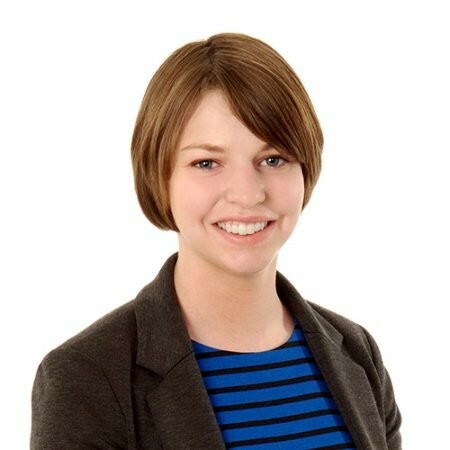 If you don’t already have an employee engagement program in place, now is the time to get one. Here are some quick tips for kick starting engagement at your organization. Employee engagement starts from day 1. And if you really want to make an impression, it should start even before that. Sending a small welcome gift to such as a box of chocolates or something as simple as a handwritten note can really make new employees feel special and connected to your organization before they’ve even stepped foot in the door. Next, rethink your onboarding process. For many healthcare providers, onboarding consists of spending hours in a room doing paperwork and watching informational videos. Engage your employees during the onboarding process by providing them with a tour of your location. Give them time to meet their new manager and allow them to shadow someone for the day. This can help new employees learn the ropes and give them someone they know they can go to as they get settled in to their new position. 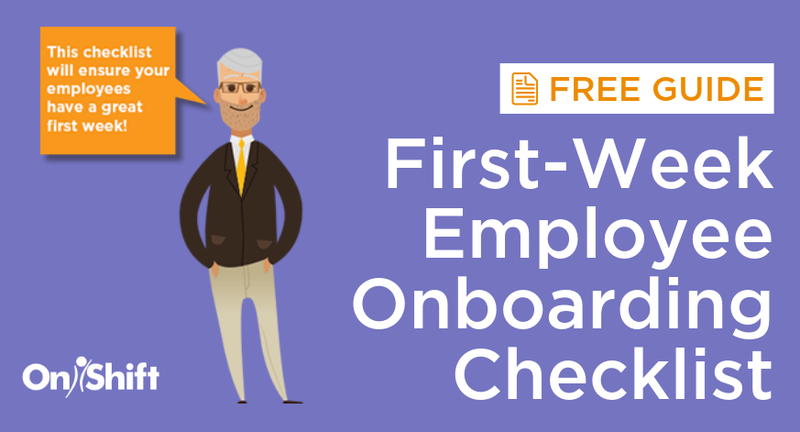 Since turnover is highest in the first 90 days, it’s important to have regular check-ins with new employees to make sure they not only feel welcome at your organization, but that they are comfortable in their new role. Engaging employees during the first 90 days is crucial, but in order to keep employees long-term you need to have a clear plan in place to keep them engaged. That starts by thinking about what matters most to your employees. The expectations of the workforce have changed. Things like flexible schedules, recognition for a hard day’s work and a voice to initiate positive change are no longer nice-to-haves—they’re must haves. Including employees in the scheduling process can go a long way in keeping them engaged. Make it easy for employees to request open shifts and create a fair and equitable process for filling call-offs. 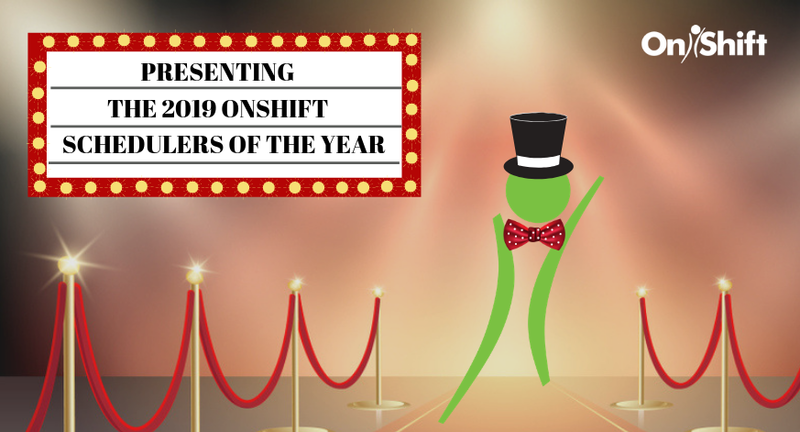 Doing so will help ward off any feelings of favoritism when it comes to getting extra shifts and can help ensure your organization has the staff they need on hand. And because what gets recognized gets repeated, it’s important that you consider how you’re recognizing and rewarding your top performers. Taking a systematic approach to employee recognition, such as implementing a points-based system for positive behaviors like not calling-off, clocking in and out on time or just going above and beyond, is the best way to ensure your top performers are rewarded in a timely and consistent manner. Competition for hourly workers is high both inside and outside the healthcare industry. And many retailers and restaurants are getting creative when it comes to introducing new perks to win over employees. 79% of employees say they would prefer perks over a pay raise. That means providers need to be thinking outside the box of traditional benefits and start thinking about perks that can really make an impact on the lives of their employees. Many hourly workers live paycheck to paycheck. In an effort to help ease financial stress, companies like McDonald's and Uber are rethinking how employees are payed. By providing access to earned but unpaid wages, employees can easily access the funds they need, when they need them. Offering this simple perk can show staff you care about their financial wellbeing by helping them avoid late fees, costly overdrafts and high interest payday loans. If you don’t have a structure in place already, ramping up an employee engagement program may feel overwhelming. Be sure to start slow, see what initiatives have an impact and build from there. And make sure managers feel involved in the process as well. They can be your greatest advocates for helping build employee morale and engagement. 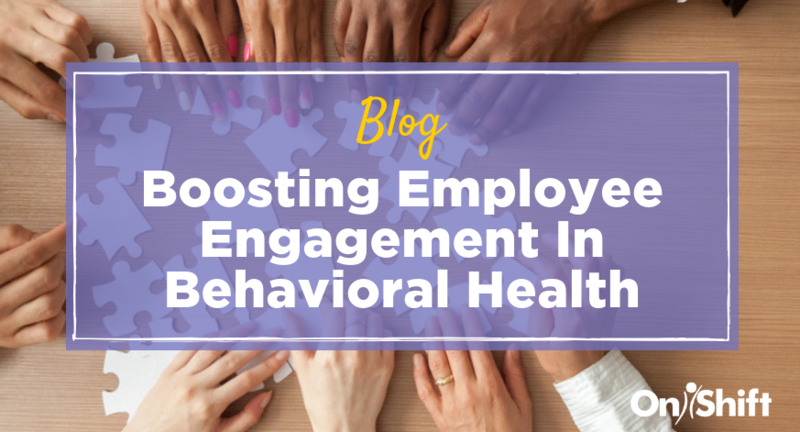 Make your way over to our Behavior Health Workforce Management Toolkit to access our most popular staff scheduling & employee engagement hacks.